The client, who is a leading commercial real estate company that owns and franchises several real estate brands (including Century 21, Coldwell Banker, Sotheby’s International Realty, Better Homes and Gardens Real Estate, etc. ), operates approximately 14,100 offices, and does business in 112 countries and territories around the world. With a push toward understanding the benefits of the use of augmented reality technology in the commercial real estate space, the client sought an analytical application that could tie various types of property viewings (virtual tours, in-person walkthroughs, etc) and draw correlations between the rate of conversions on properties that had invested in augmented reality showcases, and those who had not. 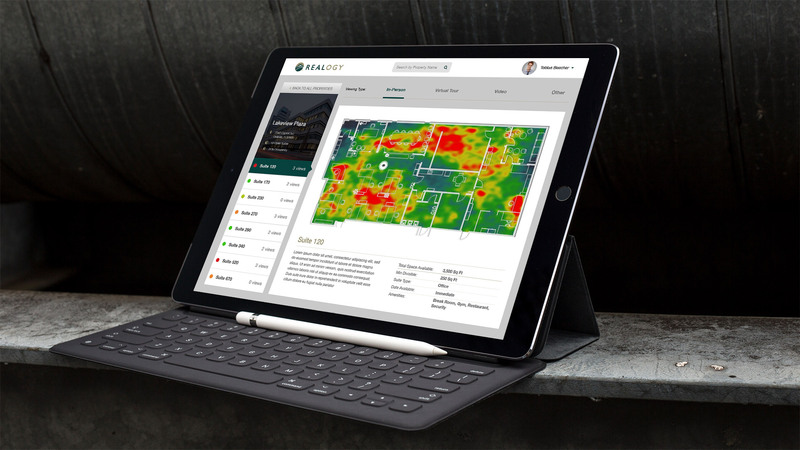 Using IoT technology, the application is able to produce dynamic heatmaps that show which areas of individual suites receive the most amount of attention from potential customers, both in virtual tours, and in-person walkthroughs. Through this heatmap, executives are able to understand how the integrated augmented reality is affecting the way viewers interact with the property, and in turn, how it affects conversions.